Looking for a fun new way to get involved on campus next semester? Junior adventure education major JJ Franke may have just the thing for you. Fall of 2017 marked the birth of a new student-run spin-off on the popular CBS show, Survivor, led by Franke. Franke (in front) with Survivor contestants. CBS’s Survivor focuses on eighteen to twenty normal people, split into two tribes at the season’s location, which is usually a tropical setting. The two tribes need to survive the elements and find food, water, and shelter. During the first half of the show, the two tribes compete in challenges for rewards and immunity items, which keeps the winning tribe from going to Tribal Council the next week. At Tribal Council, contestants are eliminated from the game. The second half of the season sees the two tribes merging into one, where they now face off for individual immunity and the title of Sole Survivor. Each season comes with new, unexpected twists for the contestants, and Franke made no exception to this when launching his own franchise here at Messiah College. The first season of Survivor: Messiah took place last fall, and Franke is in the middle of hosting the second season. Contestants take time throughout the week to talk, scheme and strategize with their teammates. “Even though it’s a game about lying, deceiving and backstabbing, there are friendships that have come out of it with people who probably wouldn’t have known each other otherwise,” Franke said. 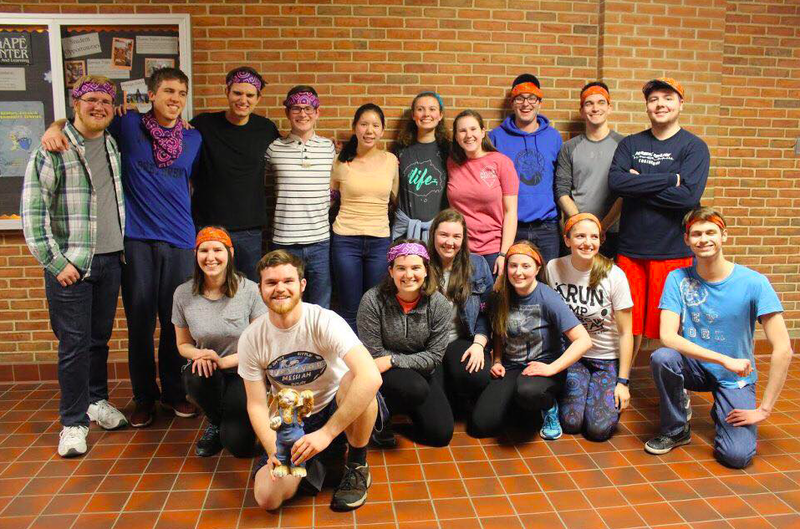 Survivor: Messiah offers students a chance to interact and find common ground with other people who they may have never interacted with, while also enjoying competition, trickery and unexpected twists and turns. Survivor: Messiah meets every Sunday evening at 9 PM for roughly an hour in Legacy Park, weather permitting, and then moves to Alumni Plaza, Hoffman Lawn, or the hallway right outside of Lottie Nelson. Franke encourages those who are interested to come watch as a night of deception and excitement goes down. A fan of the CBS reality competition TV franchise or not, if you are interested in participating in an upcoming season, you can like the Facebook page Survivor: Messiah, and contact JJ Franke at jf1384@messiah.edu.